Eastview resident and architect Lawrence E. Williams has declared his intention to make a 3rd run at the mayor’s office. 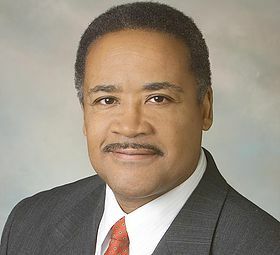 Williams ran in 2004 and 2008, pulling 1.6% and 1.8% of the vote respectively. Lawrence Ellis Williams, Sr. is a practicing Architect. Lawrence was born in Richmond, Virginia and presently resides in the Eastview Church Hill community. Lawrence brings over 45 years of community insight from a professional perspective. He is active in community planning initiatives, working with minority businesses, citizen clients, local politicians, community organizations and churches. Lawrence is a product of Richmond Public Schools. After graduation from John Marshall High School, he attended The University of Virginia, where he received a Bachelor of Architecture. He attended The Harvard Graduate School of Design, where he graduated with a Master of Architecture Degree. He has practiced as a registered Virginia architect for over 25 years. Lawrence Ellis Williams Consulting, LLC is a Virginia certified minority business enterprise. Lawrence has extensive hands on experience in community master planning, project promotion and institutional design. He works closely with local churches and community groups at the grass roots level. From an urban planning perspective he has participated in numerous community development projects, working with local governments, housing authorities, and non-profit community development corporations. Lawrence is a member of Mount Tabor Baptist Church and Eastview Civic League. Both are located in Richmond’s East End. Lawrence is interested in initiatives that help underserved communities through training and job creation and organizations that promote long term intergenerational institutional knowledge. He is currently a board member of Groundwork RVA and interested in linking communities to downtown Richmond through “Park Green Way Amenity Development” that promote adjacent parcel investment, pride and neighborhood stability. Williams joins a crowded field of declared and expected candidates: Joe Morrissey, Michelle Mosby, Lillie Estes, Chad Ingold, Rick Tatnall, and Bruce Tyler have declared, and it is likely that Jon Baliles, Chris Hilbert, Levar Stoney, and Jack Berry will announce as candidates. I was unable to locate a campaign site or related social media for Lawrence Williams. *They* say ‘the third time is the charm’? ?